A facial is a beauty treatment for your face. There are many spa brands and styles of facial available, and each spa and each brand describes them in a slightly different way. Facials use a variety of products, massage techniques and equipment to give you cleaner, healthier, more radiant-looking skin. If you haven't had a facial before, or just haven’t found one that you like yet, read our handy guide to find out more. 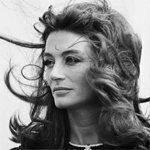 What is a facial good for? to target specific skin concerns: healing and brightening products and toning techniques can be used to make your skin look clearer, firmer, fresher and lovelier! Pretty much all facials will cleanse, exfoliate, tone and moisturise your skin. 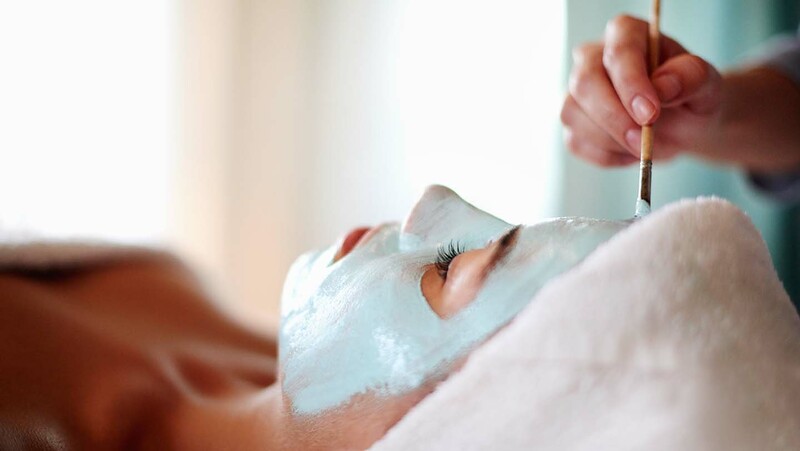 A good facial will leave your skin looking and feeling better, but should also leave you feeling relaxed and refreshed, and the experience should make you feel pampered. The aim of a facial, and the skin type it is suited to, should be described in the spa treatment menu. If you're in any doubt about which one to book, speak to a therapist at the spa and ask for their advice. Preparation: The therapist will take off your make-up as part of the treatment, so you can arrive without any special preparation. In a spa you will usually receive your facial lying down on a massage table. Generally speaking you will asked to remove any clothing or swimwear from the top half of your body and lay underneath a duvet or a sheet to protect your modesty. Your therapist will usually cover your hair line with a protective band, too. Products: Your therapist will then apply various skincare products to your skin. Your therapist may use a brush or spatula to apply products such as masks, while she is likely to use her hands to massage on cleansing creams and facial oils. Your therapist will gently remove the skincare products using damp cloths or towels, which are usually warmed up first. Massage: Most facials feature some form of facial massage, often extending this to your neck and shoulders, your head, and your arms and hands. Facial massage is usually a form of acupressure and/or lymphatic drainage. Acupressure, a light pressure-point massage, can help tone skin by stimulating facial muscles, while lymphatic drainage massage helps to decrease puffiness. Some facials might even include a back massage to begin with too. Equipment: Some facials rely on more than just potions and lotions and the massage skills of the therapist. 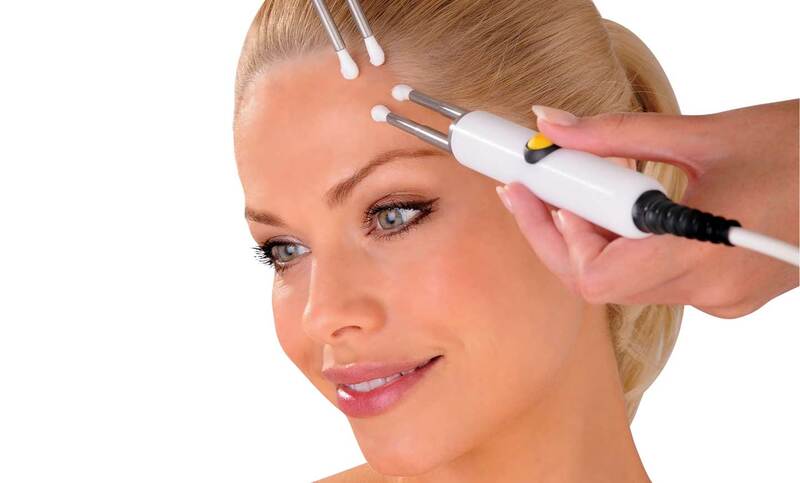 For example, microdermabrasion facials use a machine that blasts tiny crystals onto your skin for a deep exfoliation; microcurrent or galvanic facials use a low electrical current to boost circulation and muscle tone; oxygen facials use high-pressure jets to push serums (or oxygen itself) into your skin. Duration: A full facial will usually take between 60 and 90 minutes. A taster or express facial usually lasts about 30 minutes, and includes the usual cleanse/exfoliate/tone/treat/moisturise routine, but is unlikely to include any specialist equipment or techniques, unless otherwise stated. Precautions: If you have any skin allergies or conditions, make sure you tell your therapist about them, not just the receptionist when you book. If you are, or think you might be, pregnant, you should always tell the therapist as well; some products may not be suitable for you. A prescription facial is tailored to your skin type and what you are hoping to gain from the facial. The facial should include a consultation before the treatment begins, so the therapist can have a look at your skin, and choose the skincare products that meet your needs. Deep-cleansing facials and balancing facials are most often recommended for combination, oily or spot-prone skin, as the aim will be to thoroughly clean the skin, unblock pores and balance over-oily patches. A nourishing or hydrating facial will be great for dry skin, but can also be recommended if your skin is temporarily dehydrated. A brightening facial is usually recommended for dull skin, or skin with uneven pigmentation. This type of facial will usually include a thorough exfoliation to buff away dead skin, and an application of a specialist serum or cream that aims to boost skin radiance and even out skin tone. Anti-ageing facials aim to improve the look and feel of skin that has visible signs of ageing. 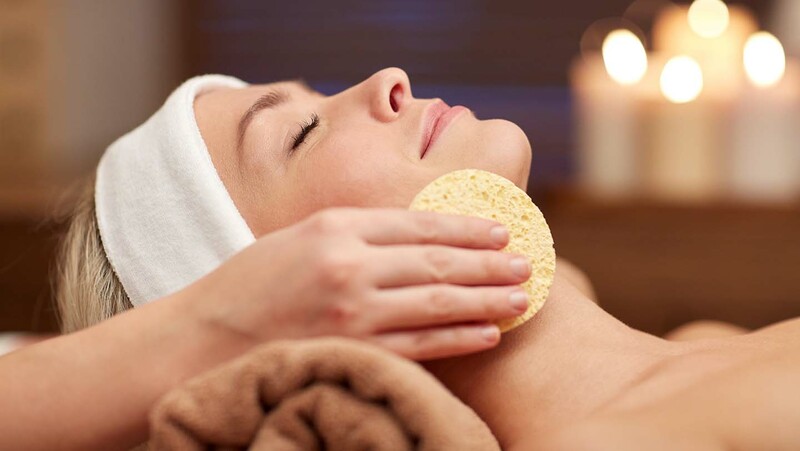 Depending on the brand, these facials may include specialist equipment or massage techniques to help stimulate the facial muscles, to help lift and firm skin. They may also include a gentle peel or deep exfoliation followed by hydrating serums and creams, to help the skin look plumper and smoother. A facial for sensitive skin will include gentle, calming skincare products. If your skin is very reactive, your therapist should be able to give you a patch test to check your skin doesn't react to the skincare products. Facials for sensitive skin are unlikely to include abrasive exfoliators or harsh chemicals. Some facial treatments do come with conditions. For example, facials that include a gentle skin peel will make your skin more sensitive immediately after the treatment. If you have had a peel, your therapist is likely to advise you not to use any heat facilities afterwards, and to use sunscreen. A good facial might leave you feeling radiant, but you might also look a bit unkempt (for one thing, your fringe will be sticking up having been swept back during the treatment). Enjoy that confidence in your appearance, but do have a quick check in the mirror before you leave!